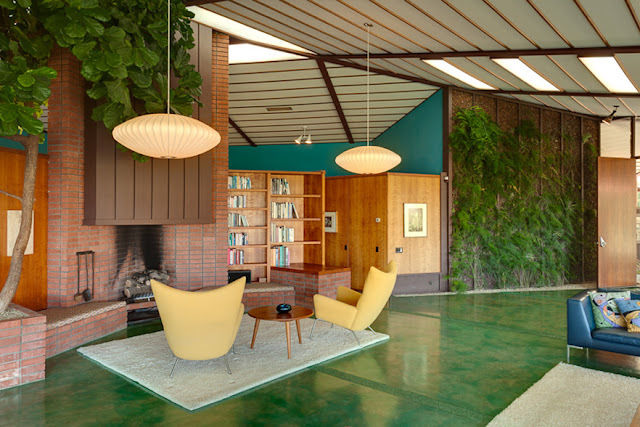 Oooh man, excuse me while I scrape my jaw off the floor- this absolutely incredible home was the private residence of noted mid-century modern designer and builder Rodney Walker (1910-1986). 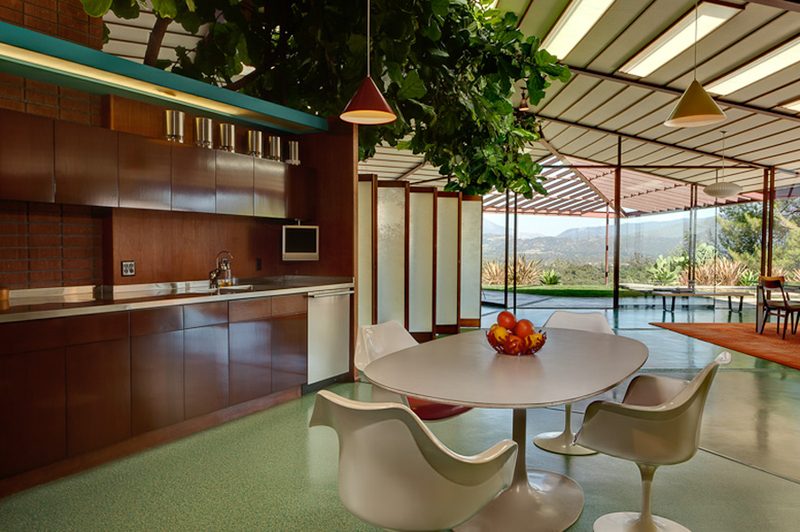 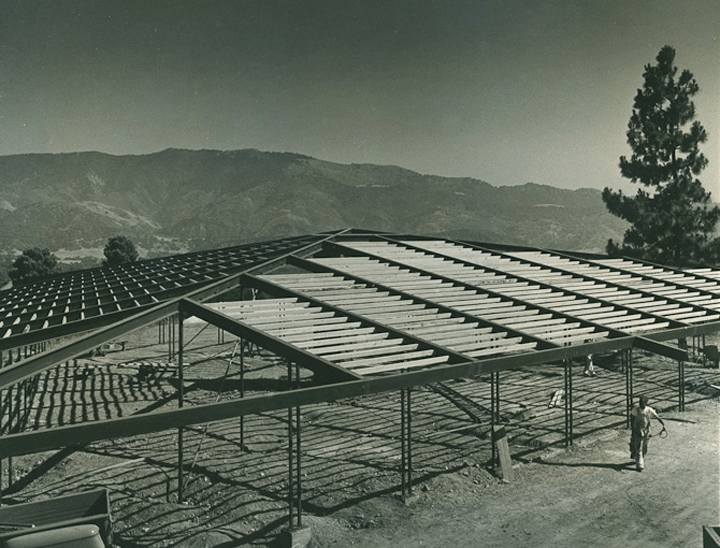 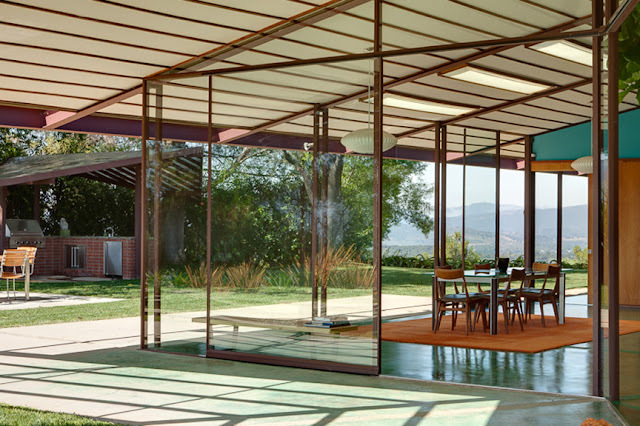 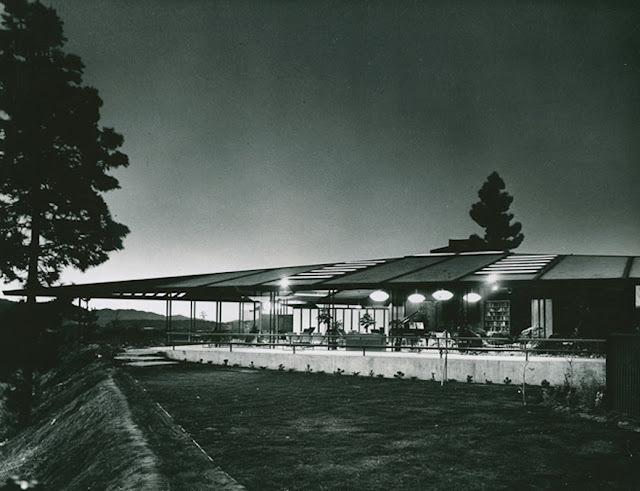 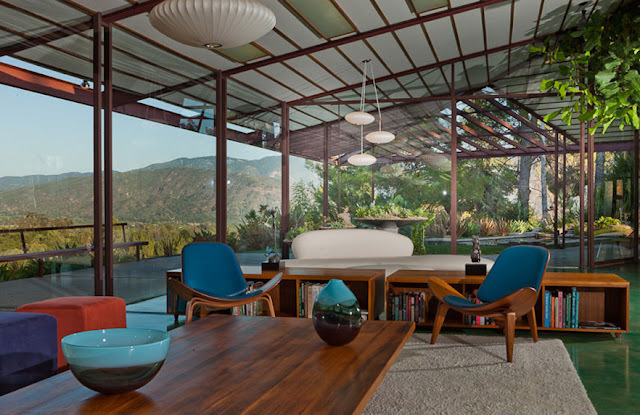 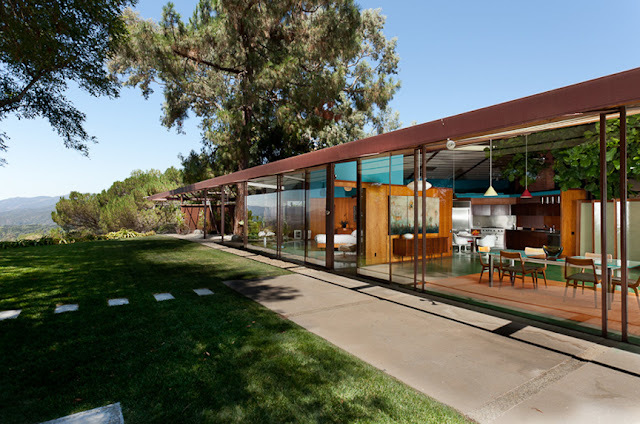 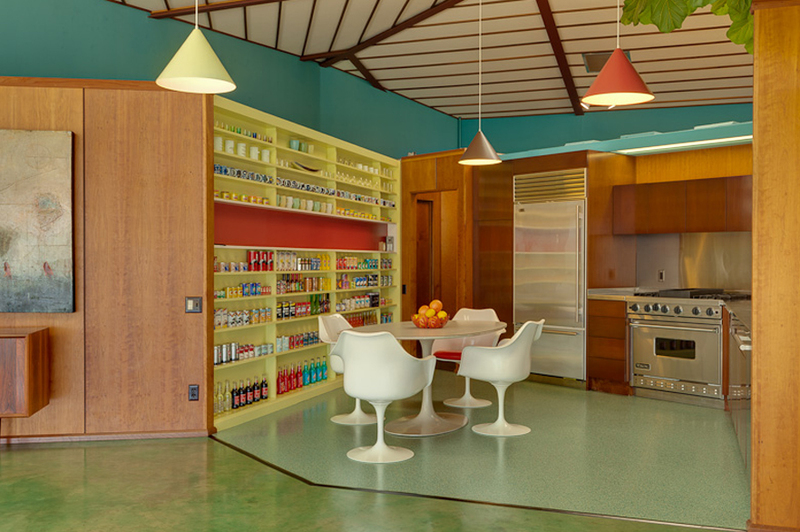 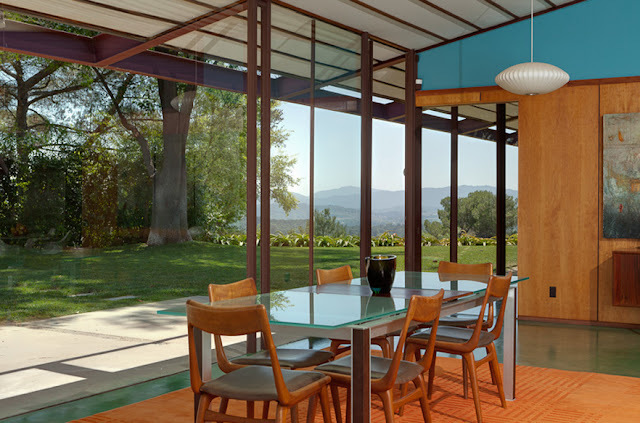 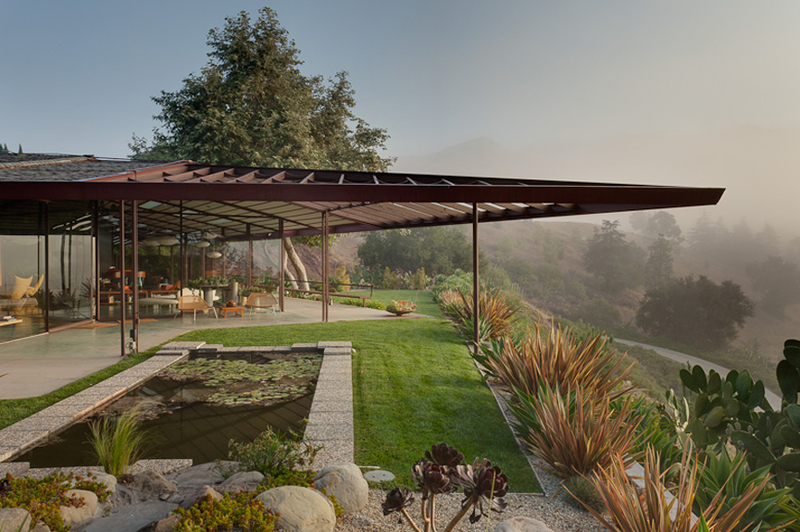 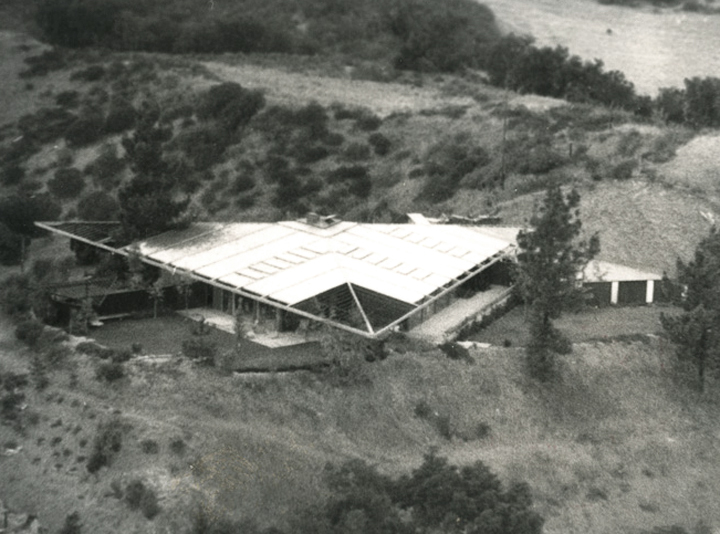 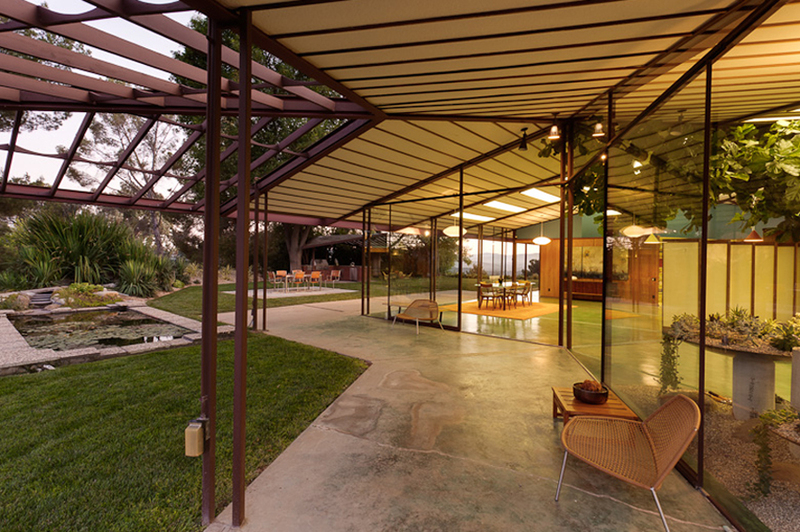 The 4,300 square foot house designed by Walker himself was completed in 1959 and features a large open living space with 17 foot high ceilings, 4 bedrooms, 3 baths and floor to ceiling windows that overlook the Ojai Valley. The home is currently listed at just under 4 million by Crosby Doe Associates. 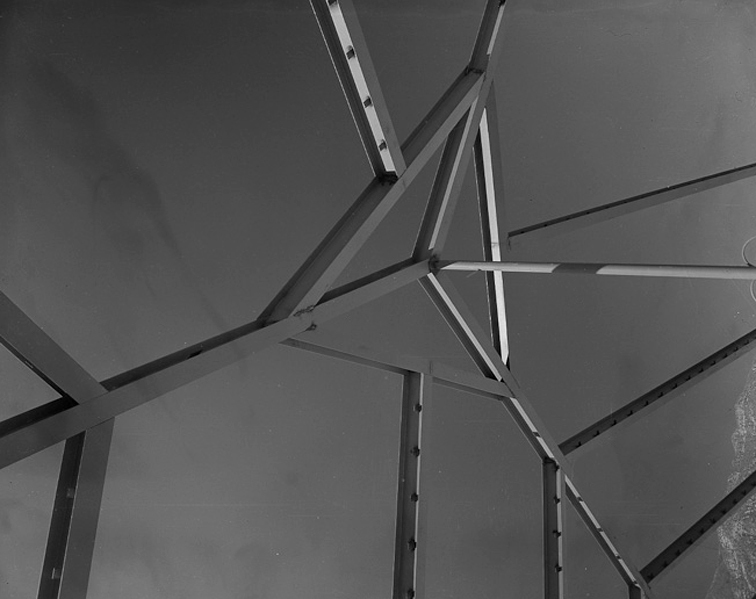 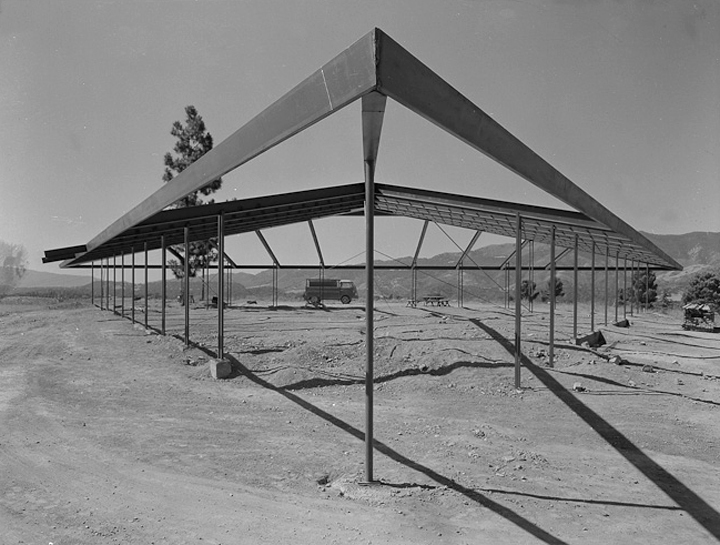 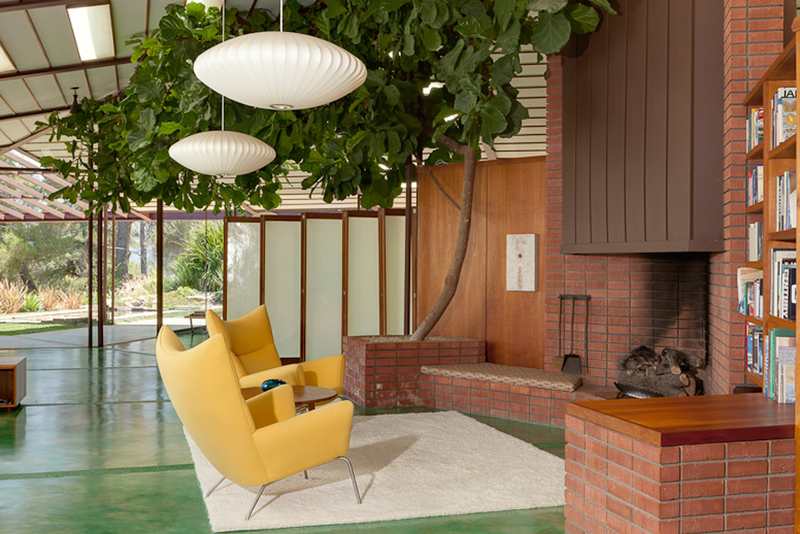 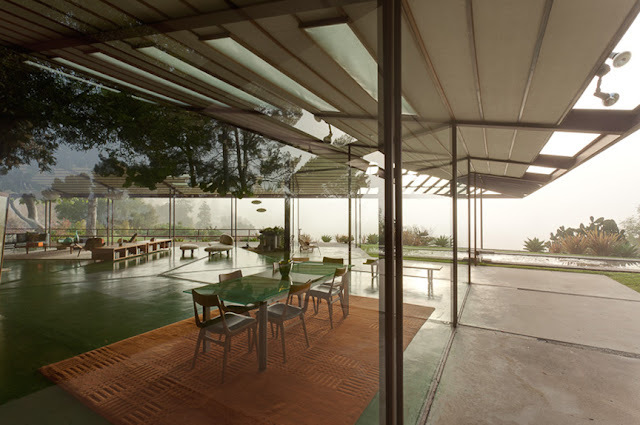 While Walker's three California Case Study Houses (16,17,18) are internationally known and celebrated, his personal residence remains virtually unknown, even though it is considered by many to be his most significant body of work. 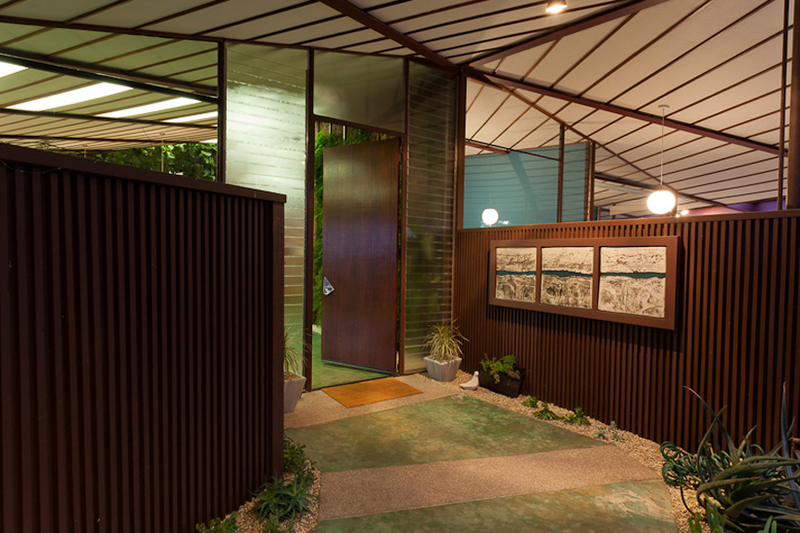 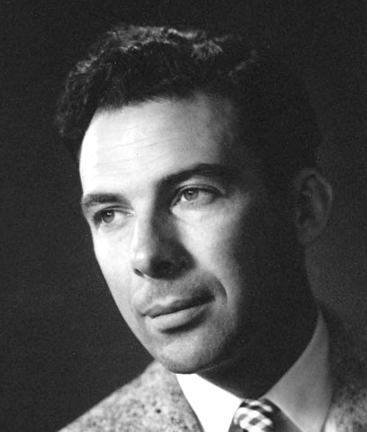 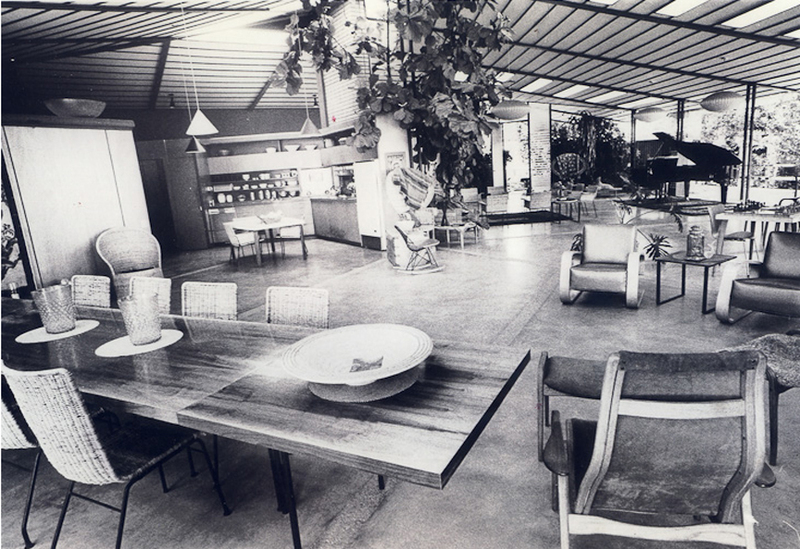 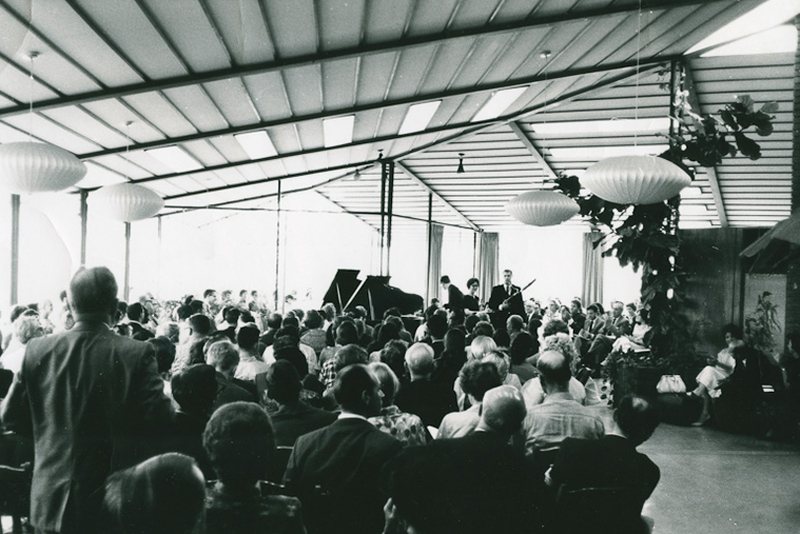 Click here to read more about Walker and his Case Study Houses. 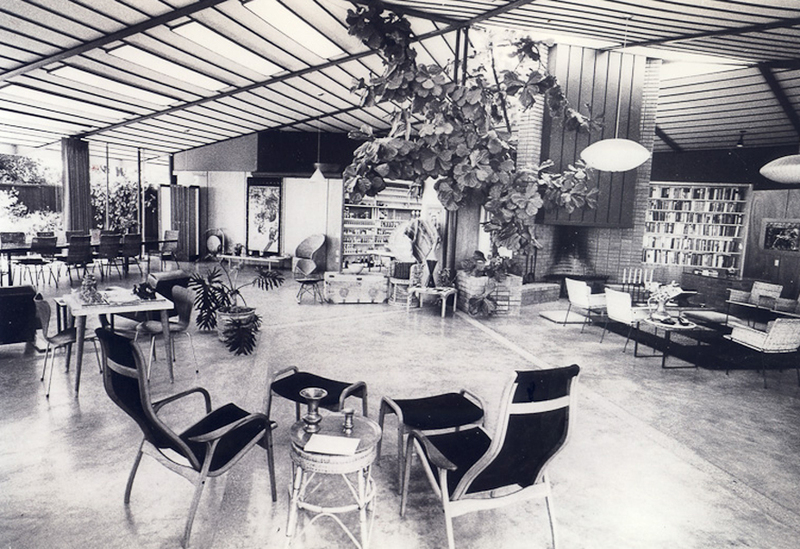 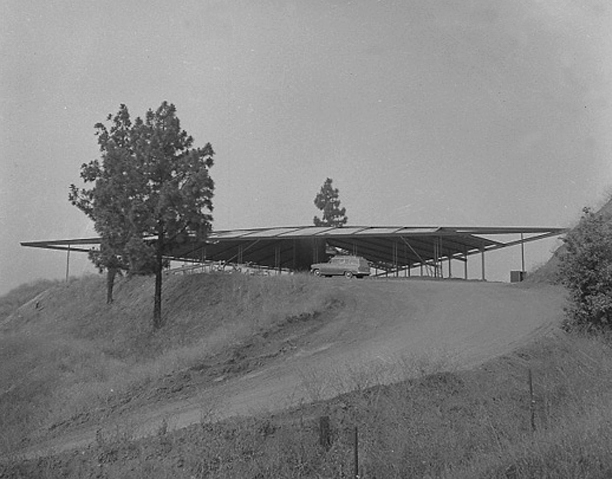 Below are vintage photos of the Walker residence. All images via Crosby Doe Associates listing site. 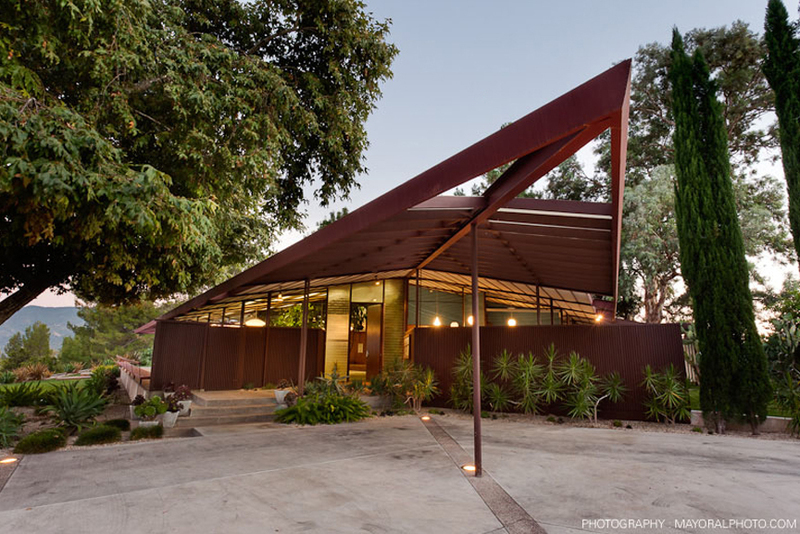 Current photos by Mayoral Photography. 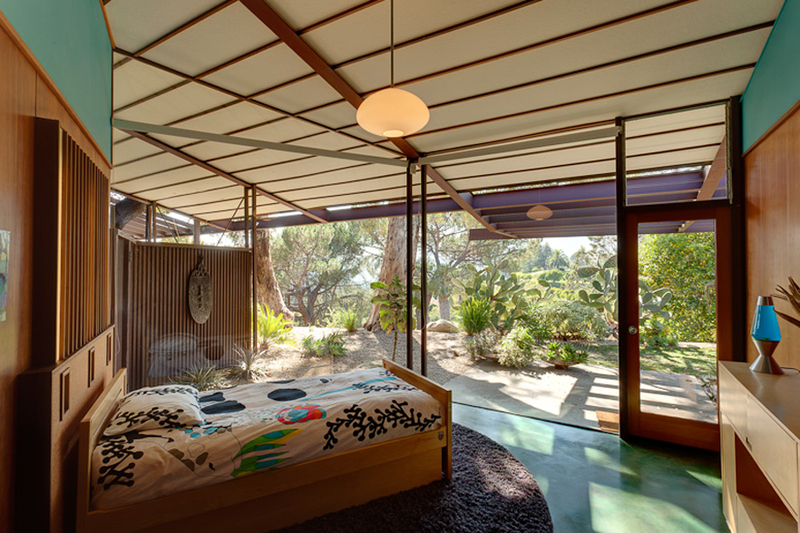 I can't even put into words how unbelievably awesome that house is....I think I'm dreaming. 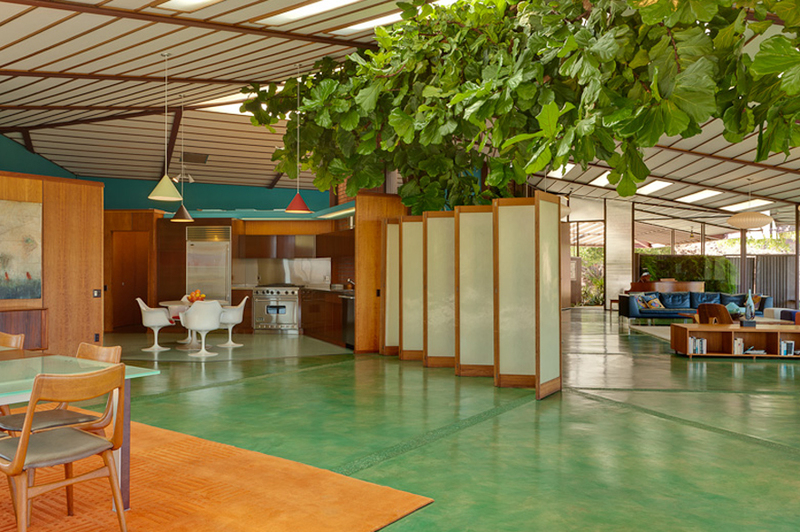 The green floors are so cool. 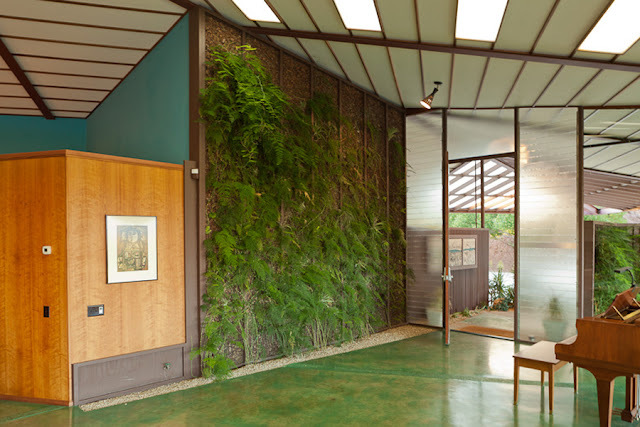 Do ou think they are stained concrete? 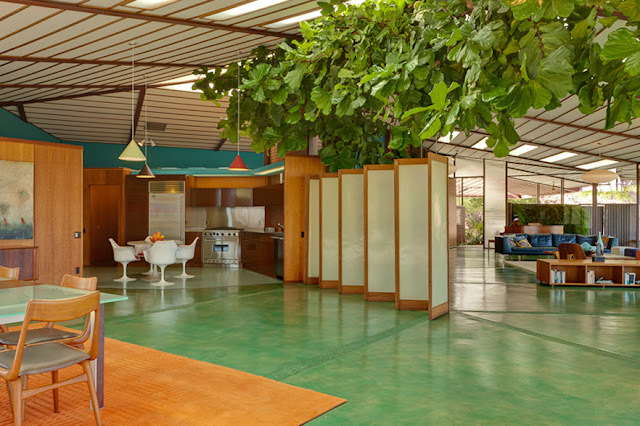 Haysworld, Stained concrete would be my guess too. 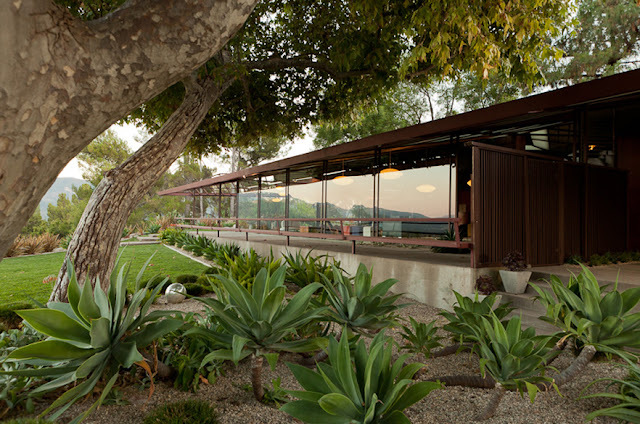 This is stunning...thank you so much for posting these pictures. 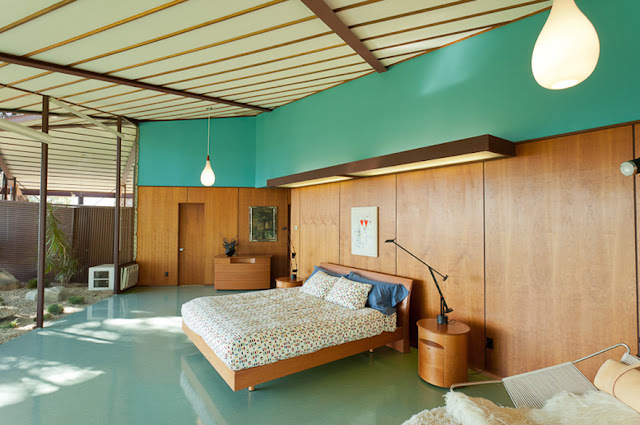 Do you think the color scheme (especially the green floor and the blue upper walls) is original or added by subsequent occupants? I am not sure if the floor color is original, but I dig the colors too. 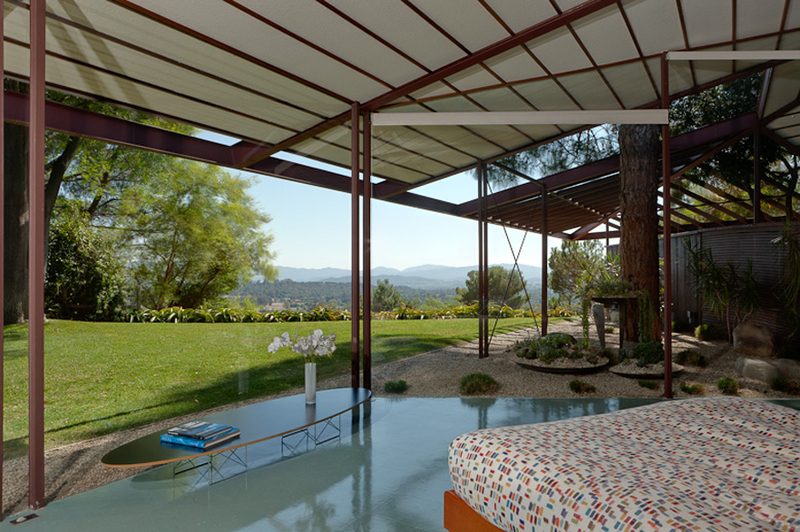 Ice Cube Celebrates Ray & Charles Eames!